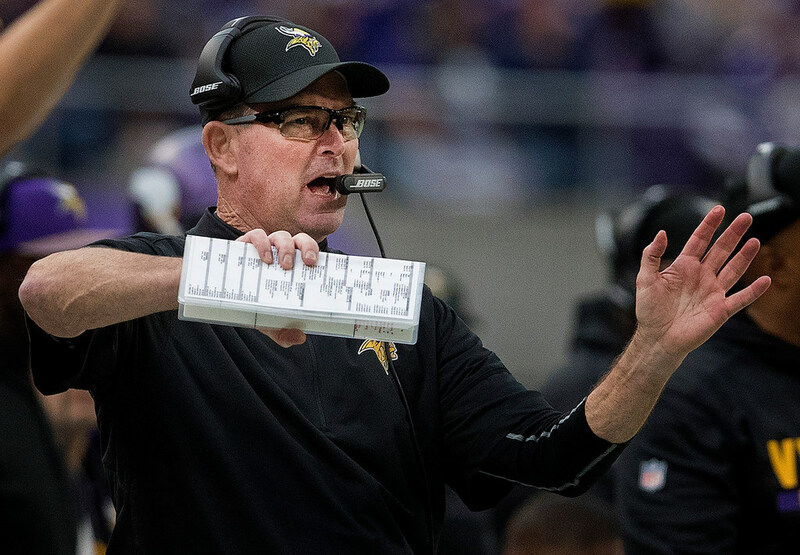 Vikings coach Mike Zimmer is again considering handing off defensive play-calling to coordinator George Edwards, however only after this season ends. Vikings head coach Mike Zimmer is again considering handing off defensive play calling to coordinator George Edwards, however only after this season ends. Zimmer considered the switch last offseason, saying he was evaluating ways he could be a better head coach on game days. The NFL’s Career Development Advisory Panel recently distributed its list of annual head-coaching candidates, which reportedly included both Vikings coordinators Edwards and Pat Shurmur. Edwards last called defensive plays full-time in 2011 for the Bills. He stepped in for Zimmer and called defensive plays during the Vikings’ 17-15 loss to the Cowboys last season, when the defense played well. This is Zimmer’s 18th NFL season calling plays, which he’s alluded to as one of his strengths. The numbers prove it. The Vikings are the NFL’s No. 1 scoring defense entering the final regular season game. Minnesota has ranked no worse than 11th since hiring Zimmer.